This paper considers the cultures of photography in museums beyond formal ‘collections of photographs’. It explores the ways in which their flows, categorisations and work reflect and perform the epistemic structures which shape museum knowledge. I shall suggest that historical studies of the archive of photographic documents have perhaps placed too much emphasis on the centripetal model gathering and the consequent practices of the storeroom and the filing cabinet. Such approaches have tended to overlook the complex ecosystems of photographic production which are located in a fluid meshwork of multiplicities where original and copy, collection and non-collection become blurred. Drawing on new work in the V&A, London, as a case study of these wider processes, I trace and account for the placing and performance of photographs of the V&A's own objects across four key overlapping spaces of gathering and dissemination - the ‘guard-book’ albums, the library, the curatorial departments and through illustrated publications for the public. In particular I shall argue that the matrix of photographic practice and purpose can be understood as a 'distributed object' and interrogated through anthropological concepts of assemblage, meshwork, purification and multiple temporalities. I argue that such an attention to the relations between ‘collections’ and ‘non-collections’ reveals the shifting hierarchies of photographic value in museums that in their turn, shape research endeavours andhave a profound effect on how histories of photography and histories of museums are written. 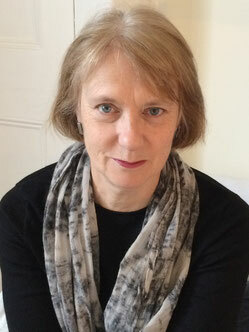 ELIZABETH EDWARDS is a visual and historical anthropologist who is currently Andrew W. Mellon Visiting Professor at VARI (the Victoria and Albert Museum Research Centre) in London. Until 2005 she was Curator of Photographs and Lecturer in Visual Anthropology at Pitt Rivers Museum/University of Oxford before leaving for academic posts. Now retired, she is Curator Emerita at the Museum, Emeritus Professor of Photographic History at De Montfort University, Leicester, and Honorary Professor in the Department of Anthropology, University College London. Specialising in the social and material practices of photography, she has worked extensively on the relationships between photography, anthropology and history. She also has a long-standing interest in photographic cultures of museum and has written extensively on the topic. In 2014 she was given a lifetime achievement award by the Society of Visual Anthropology (American Anthropological Association) and a Photographic Studies lifetime achievement award from the Royal Anthropological Institute in 2017. She is currently working on two projects: one historiographical on photography and the practices of history and the other on the role of photographs in the emergence of the concept of collectively- and publicly-owned 'histories' 1850-1939. Her monographs and edited works include Anthropology and Photography (1992), Raw Histories (2001), Photographs Objects Histories (2004), Sensible Objects (2006) and The Camera as Historian: Amateur Photographers and Historical Imagination 1885-1912 (2012).